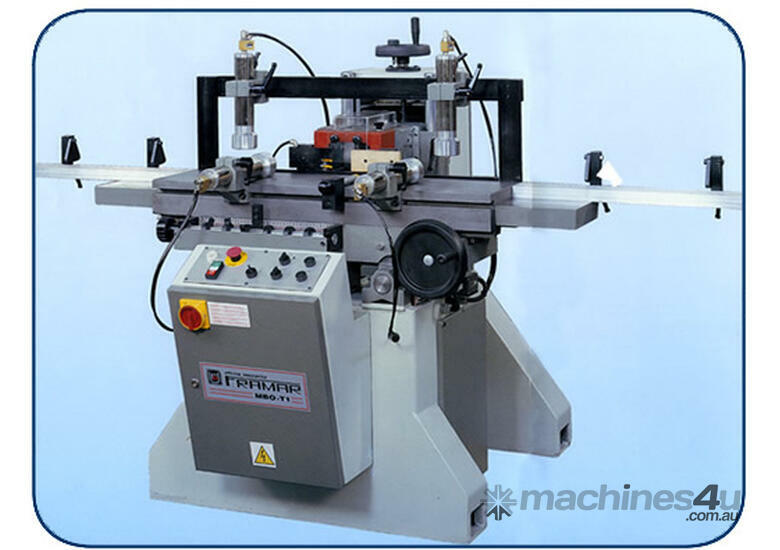 New model of horizontal chisel mortising machine with one head capable of satisfying the requirements of both small and middle industry and hand craft. It can make mortisers of various lengths and depths on windows, balconies and door posts. The machine structure includes a thick steel basement and remaining parts in cast-iron. The table transversal movement is controlled by a pneumatic piston with adjustable speed which slides on ground round bars protected by scrapers. On the table longitudinal movement, which is controlled by a handwheel, a revolving device with mechanical stops is fitted. 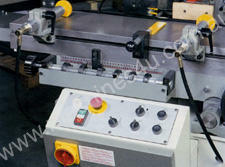 The machine is equipped with an automatic table locking device during operation. 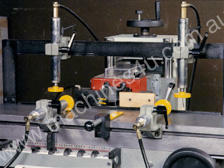 The pneumatic safety system prevents any starting of the machine if the woodpiece is not clamped. The machine is also equipped with additional aluminium guides with balance stops. ROBLAND COMBINATION MACHINE NX PRO410,4 STATION, 3PHASE .